Find out what to bring and where to go with your bike rental in San Francisco! Are you an originalist that wants to tackle the mighty hills with a regular hybrid bike rental in San Francisco? Or do you want to explore the city comfortably with electric bikes in San Francisco? 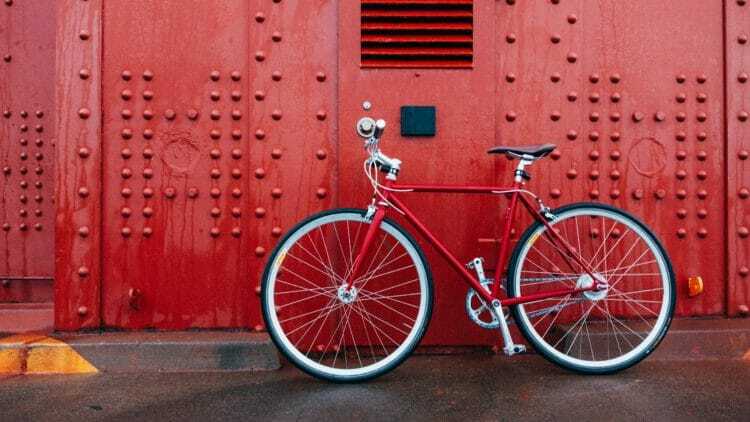 Knowing which kind of bike rental in San Francisco that you want is the first step in finding where to rent bikes in San Francisco. If you’re looking for the cheapest bike rental in San Francisco, a regular bike will be the most economical option. If you’re looking to do a little San Francisco sightseeing without exerting too much energy in the process, pedaling is optional when it comes to e-bikes in San Francisco! Dylan’s Tours, one of the best bike tour companies in San Francisco, also offers generous online discounts for both their e-bikes and regular bikes! The electric bike rental in San Francisco means pedaling is optional. Bike rentals in San Francisco with Dylan’s Tours start off at $27 for 7-speed bikes (normally $35), and their e-bike rental in San Francisco is $60 (normally $70) when booking online. Be sure to use promo code BIKESF for an additional 10% off your bike rentals with Dylan’s Tours. San Francisco has something called “micro-climates”. This means you can travel about 5-10 minutes on your bicycle rental in San Francisco and experience a temperature difference of up to 10F (that’s 12C). We aren’t kidding when we say bring layers! If you’re picking up an electric bike rental in San Francisco’s Little Italy (where our Dylan’s Tours Bike Shop is located), it will likely be a typical cozy sunny afternoon. But as you approach Golden Gate Bridge on your bike rental, you might experience Karl the Fog rolling in. Need to warm up before you bike the Golden Gate Bridge? Before you bike the Golden Gate Bridge, stop by The Warming Hut or Round House Cafe at the entrance to Golden Gate Bridge serve hot coffee and tea for travelers who didn’t anticipate how cold it would be at the bridge. Even though a lot of travelers enjoy a Golden Gate Park bike rental, one of the best bike rides in San Francisco surprisingly begins in Fisherman’s Wharf! That’s right, hugging the waterfront is one of the city’s nearly entirely flat San Francisco bike routes. Taking this iconic San Francisco bike trail leads your bike rental to San Francisco’s Golden Gate Bridge. While most people initially just want to bike the bridge, they usually end up biking to Sausalito from San Francisco since it’s a short 10 minute down hill ride to this quaint waterfront town north of the Golden Gate Bridge. In fact, it takes most travelers about an hour and a half to two hours to bike to Sausalito from Fisherman’s Wharf San Francisco! Which makes Sausalito the perfect spot for lunch. After lunch, you can get to San Francisco by ferry. Blue & Gold Fleet’s Sausalito Ferry accepts both regular bikes and e-bikes to Pier 41 near Fisherman’s Wharf. The Golden Gate Ferry to the Ferry Building does not allow e-bikes on board — only regular bikes. To ride one of the most popular bike paths in San Francisco all you have to do is ride down Beach Street — all the way past the iconic Fisherman’s Wharf crab sign. Eventually the road ends at Aquatic Park. That’s where the San Francisco bike map REALLY gets fun since this is where the dedicated bike path to Golden Gate Bridge begins! This San Francisco bike path will avoid most of the city’s notorious hills. There will be two hills on the way to Golden Gate Bridge. The first as you enter Fort Mason and the second right before you get to bike the bridge. To avoid these hills, you’ll definitely want to consider an electric bike rental in San Francisco! Good news is that both hills are spaced pretty far apart. And after the second hill it’s all downhill into Sausalito — a small waterfront community famed for their quaint houseboat community. M O M T R E P R E N E U R • my mom squad is not only hot—they’re enterprising too! This is us setting up for this weekend’s holiday bazaar where we put out artisanal textiles, bags and jewelry from Nicaragua, Ecuador and the Philippines, artwork by @knowledgebone, clean makeup by @beautycounter and one-of-a-kind sustainable designs by @larissaverdussen. Thank you @larizadugancuadra for hosting and for providing space to circulate our resources to momtrepreneurs and artisans instead of big businesses for our holiday gift buying. After exploring Sausalito for lunch (save room for dessert in Sausalito!) most travelers choose to hop on a ferry to San Francisco. But if you got your San Francisco bike rental from Dylan’s Tours, then you actually have an option to drop your bike off at their sister location, the Sausalito Sports & History Gallery. Better yet, if you opted for an electric bike rental in San Francisco, the battery motor is powerful enough to get you up the big hill that leads back to the Golden Gate Bridge! Trying to bike to San Francisco from Sausalito? The biking into San Francisco from Sausalito is definitely possible with a Sausalito bike rental from our friend Mark over at the Sausalito Sports & History Gallery. Here at Dylan’s Tours we have a unique partnership that allows you to drop off your Sausalito bike rental in San Francisco — and we’ll return the bike to Sausalito for you! There’s no better way to finish off a day of biking the Golden Gate Bridge than with dinner at one of the best North Beach Italian restaurants. We might be a little biased because the Dylan’s Tours Bike Shop is located in North Beach. But there are a lot of tasty reasons to eat around Washington Square Park in San Francisco’s Little Italy. Still planning your trip to San Francisco? Discover where to stay in San Francisco and explore the best tours in San Francisco. Use our guide to San Francisco with toddlers, find fun things to do with kids in SF and eat at the most surprisingly kid friendly restaurants in SF..